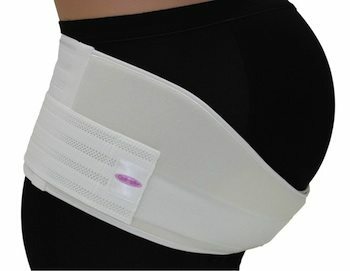 Which pregnancy support belt is right for your particular needs? Please click on the questions below to find our recommendations for which pregnancy support belt will best suit your requirements. Are you pregnant with twins, experiencing severe back pain, or suffering from pre-existing back problems? If you answered yes to the above, are usually a size 6 or 8 pre-pregnancy, are a petite person, or have a short torso, then we would recommend the Gabrialla Deluxe, over the Gabrialla strong support belt. This is due to the Gabrialla strong support being much higher in the back than the Deluxe version. This extra height while usually a good thing, can make the belt more cumbersome on petite women, and less likely to fit as well and provide the level of support that it should. Is your pain mainly due to pelvic or hip instability (SPD), is it very low in your back, or is your pain located more in the hip region? 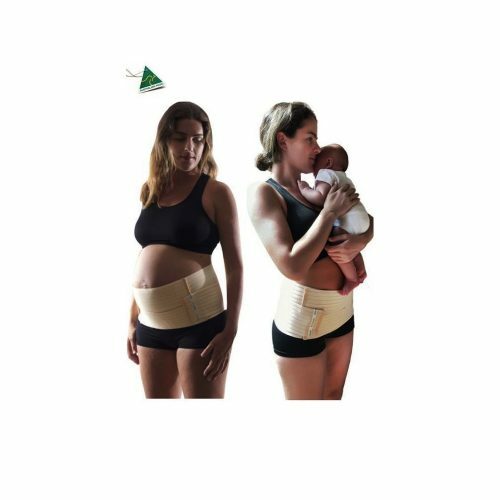 If yes, we would highly recommend the Baby Belly Abdominal belt or the Belly Bands Sacroiliac Belt. These products are designed in such a way that they can be worn higher or lower according to where the support is needed most. If you need to support your hips or pelvic area, you can wear the belt low and tight around the hips. If you need to support your lower back, then you wear it a little higher. The Baby Belly Band does offer a higher level of support and is also a bit softer and more comfortable. The other support belt styles cannot be as easily or comfortably worn around the hip/pelvic region. Are you experiencing average to bad pregnancy back pain? Do you like to apply heat therapy to your back during pregnancy? If yes, we would recommend the following since they have a pocket in which you can place a warm/cold compress. The compress is included with the Upsie Belly but not included with the others. Do you suffer from vulvar varicosities as well as back pain? If yes, we would recommend the Baby Belly Groin belt. 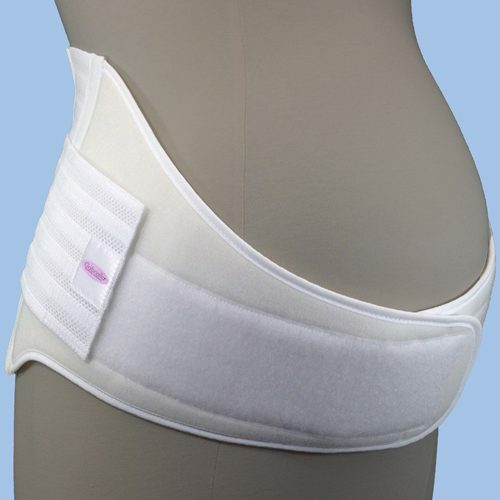 This provides you with the support belt to help ease your back pain, as well as attachable and adjustable groin bands to help apply pressure to and support your vulvar varicose veins. Do you run or regularly exercise during your pregnancy? If yes, the following belts have been very popular amongst sporting enthusiasts. Do you need to support a bad or severe diastasis recti? Are you only experiencing very minor back pain or just after a little lift for your belly, rather than structured support for back pain? If you are still unsure as to which support belt is best for your needs, or if you require sizing help, please do not hesitate to contact us or complete our ‘Which size enquiry form’.